This is old school. We found a shop that's been making plastic keychains like this since the 60's. They were kind enough to get a die made and stamp our own custom novelty keychain. 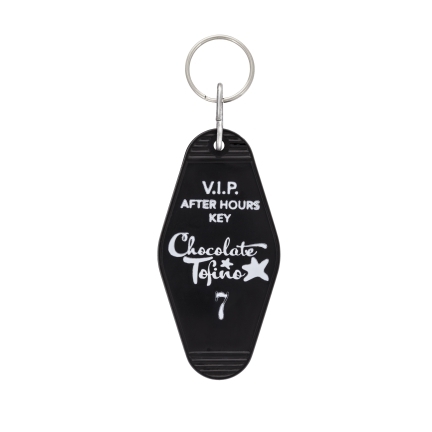 Nothing says you like Chocolate Tofino quite like an after-hours Key Chain. Numbers 1-9 and 13 are available and will be chosen at random unless otherwise specified.